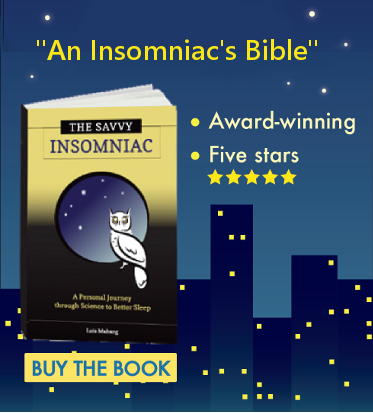 If you find yourself experiencing insomnia at about this time every year, the problem may have to do with lengthening days. The solution may lie in reducing your exposure to sunlight. Tart Cherries: Helpful to Sleep but Harder to Find? Now for the bad news: tart cherry juice, already pricey, is set to become pricier still as growers weigh whether to give up on cherries and plant apple trees instead. Here’s more on the benefits of tart cherry juice for sleep and why it may soon become scarce. 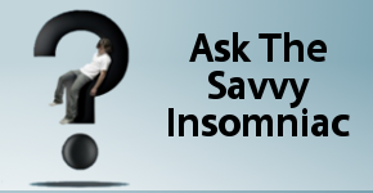 Insomnia or Delayed Sleep Phase Disorder? Sometimes I hear from people whose sleep problem sounds more like a circadian rhythm disorder than insomnia. Laurel wrote that she’d always been a night owl. So she was taking sleeping pills to get to sleep at night. Trouble sleeping is common in women at menopause, or so conventional thinking goes. Yet the latest word is that it’s during perimenopause when the trouble starts to brew. Genetic factors may partly explain why insomnia is more common in women than in men. But hormonal changes during perimenopause and later in life are often cited as a more proximal cause of sleep problems that occur in midlife and older women. Do you hold yourself to high (sometimes impossibly high) standards? Do you tend to be self-critical and cringe at making mistakes? Is it even difficult sometimes to take pleasure in your own hard-won achievements? These are signs of perfectionism, and perfectionists are more susceptible to insomnia than people who can shrug off their mistakes. Last week a new friend was telling me about her sons. She has quite a bit of anxiety about their situation and, since reaching menopause, she’s had trouble sleeping. She tried sleeping pills and didn’t like the way they made her feel. But magnesium supplements seem to do the trick. So I looked for research on magnesium, anxiety and insomnia and here’s what I found.